This costume was custom made by the production for use by various extras. 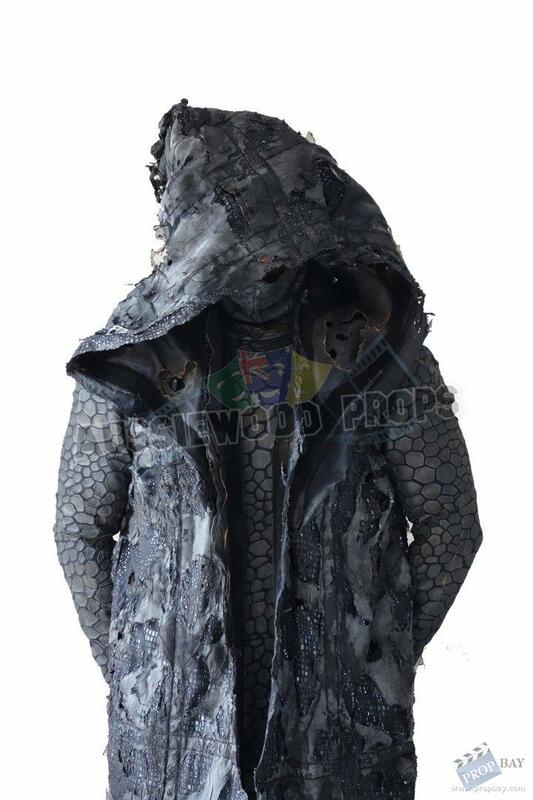 The outfit consists of a one piece jumpsuit, open face head cover and hooded cloak with melted plastic sections applied to give the cloak a very distressed look for filming. Added: 08-23-2013 - Viewed: 1911 times.